Should you get a Japan Rail Pass (JR Rail Pass)? Is it worth it? Will it save you money? And if you want one, where can you buy it? Read on for our complete guide. The Japan Rail Pass can save you a LOT of money. See below for details. The Japan Rail Pass is cheaper when purchased outside of Japan. You can buy the Japan Rail Pass online at GoVoyagin.com which is an official partner of JR Rail. Once you purchase the pass online, GoVoyagin will send an Exchange Voucher to you by post which you then exchange for the Rail Pass itself on arrival in Japan at the airport or at any JR Rail station. For a limited time (until March 31 2019), you can buy the Japan Rail Pass inside Japan. See my page Japan Rail Pass Available Inside Japan for full details. If you just make one round trip between Tokyo and Kyoto on the shinkansen (bullet train) and use the pass to travel between Narita and Tokyo, you’ve already saved money with the pass. See below for details. You can only use a Japan Rail Pass with a tourist visa (people on longer-term visas like work visas, student visas and permanent residence visas cannot use Japan Rail Passes). Japan Rail Passes can be used on JR trains across Japan, including shinkansen (bullet trains). The passes can also be used on certain JR buses and ferries. Note that the pass cannot be used for private train lines or subways within cities. However, it can be used on the Tokyo Yamanote Loop Line, which is one of the most convenient lines for travelers in Tokyo. Note that the “Green” pass below is the equivalent of the first-class pass. It entitles you to ride green (first-class) cars on all JR trains that have them. Note that the cost of a normal one-way shinkansen (bullet train) ticket from Tokyo to Kyoto is Y13,080 and the roundtrip fare is Y26,160. An ordinary one-week pass is Y29,110. A one-way trip on the JR N’EX (Narita Express from Narita International Airport into Tokyo) costs Y3020. 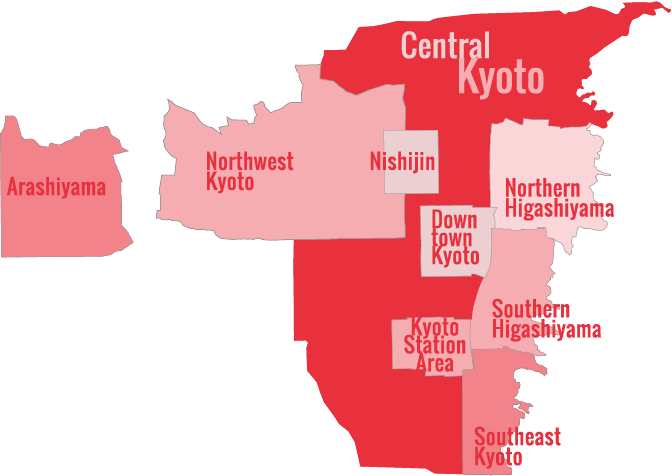 Thus, if you use the pass to travel from Narita to Tokyo, then on to Kyoto and back, you’ve already saved money. You can also use the pass to get from Kansai International Airport to Kyoto. Thus, for most people, the pass will save them money. What Are The Advantages of Buying a Japan Rail Pass? Obviously, saving money is the money is the main reason to buy a Japan Rail Pass, but the advantages don’t stop there. The pass is very easy to use: it’s valid on all JR lines and covers the shinkansen (bullet train). With the pass, you don’t have to worry about buying tickets and fishing for change in your pocket/wallet each time you take a trip: you just show the pass to the attendant at the turnstiles and you board the next available train. Just keep in mind that the pass does not cover the Nozomi shinkansen (the very fastest class of bullet train) but it covers the Hikari shinkansen, which is nearly as fast. The speed difference between these trains is minimal: usually just a few minutes for the trip between Tokyo and Kyoto. The most important thing to remember is that you must purchase the pass outside Japan. 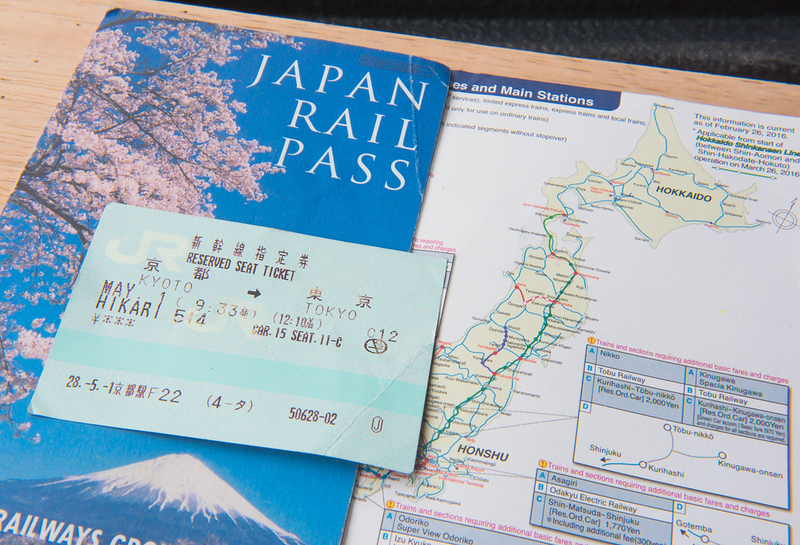 There are numerous places online where you can purchase a Japan Rail Pass. buy the Japan Rail Pass online at GoVoyagin.com which is an official partner of JR Rail. Once you purchase the pass online, GoVoyagin will send an Exchange Voucher to you by post which you then exchange for the Rail Pass itself on arrival in Japan at the airport or at any JR Rail station. If you’re living in Hong Kong, China, Malaysia, Philippines, Singapore, South Korea, Taiwan, Thailand or Vietnam, you can purchase a voucher for the Japan Rail Pass online with Klook. It’s the same process as GoVoyagin. The voucher is posted to your home address. You then exchange the voucher for your Japan Rail Pass at a designated JRRail pickup point. Should You Buy a Green Pass or Ordinary Pass? See Japan Rail: Green Cars vs Ordinary Cars for a complete breakdown of the pros and cons of a Green Pass versus Ordinary Pass.